What would you do with sané? I have a pretty ok team for gw27 if I just bench sané. After gw27 city has whu,bou and wat. And this is sané’s points against those teams last time they played… That makes me wanna keep him. But is sane’s future minutes a problem or is this just what you have to expect when dealing with city players? Could be whoever’s time to be rested now that ars and Che are done, even aguero? Sane currently looks to be just as much at risk of rotation as anyone in man citys squad. Also Mendy is due back making sane’s place in the side even more at risk. However if he gets good minutes whilst man city are in their current form hes capable of good points hauls. It’s impossible to predict pep tho. With that in mind, would you ignore sane’s last three games and keep him or not? I definitely wouldn’t keep him. He’s expensive, a rotation risk, has definite blanks but isn’t guaranteed to play the doubles. At this stage I don’t know who to recommend but give it 10 days and you’ll have a much better idea of chip strategies and therefore who to bring in. Hey Allan, I’m in the same boat as you and I’ll be honest I have no idea what to do. So he’s got me 15pts in the 6 games I’ve owned him and 32 in the 3 I didn’t have him in the middle. So whilst nobody knows why he isn’t playing there have been similar periods over the season where he’s had reduced minutes. One thing I’ve noted about my season and in particular compared to those who do very well is that patience and simply retaining players over long periods of time seems to be the recipe for success. I decided I would try to practice more patience with my team so in this instance I’m torn between doing what seems obvious; sell, or do the harder thing and keep which could go either way! I think he’s not a rotation problem; he is simply out of the first team atm. He got benched and didn’t come of it vs Arsenal, he started the midweek game vs Everton but got subbed on the 58th min after doing f*** all and then got benched and stood there again vs Chelsea. He also was the first one to make way after Newcastle had tied the game a few gws back so he reads 72´´, 0´´, 58´´ and 0´´. That’s not rotation, that’s a bench player. I sold him this gw26 for Son for that reason and I would sell him ahead of 27 if I hadn’t already. That said, he may play vs old club Schalke, just to give the other boys a rest. Tough one, we’ll see what happens. Afternoon guys what are thoughts on the FH chip best time to play ???? It’ll vary by team. 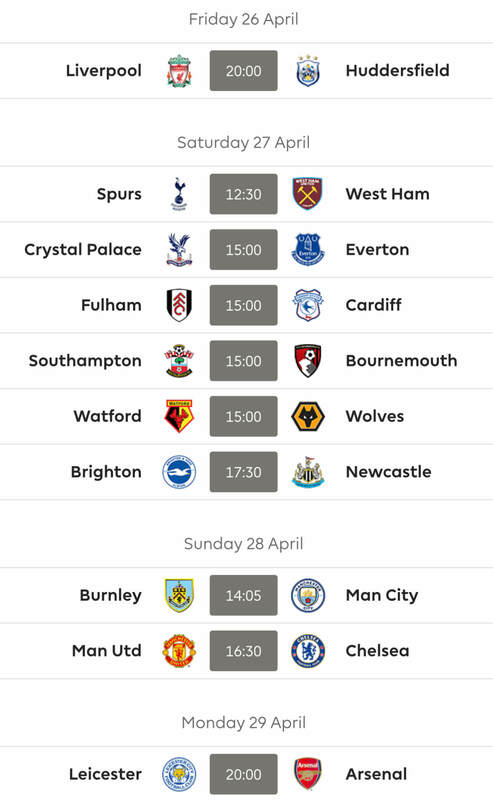 I see the logic of playing it in a DGW (as many seem to be planning) but personally I have 1 player scheduled to play GW31 so my hand may be forced depending on how the cup goes. Basically, wait until middle of next week and take it from there. 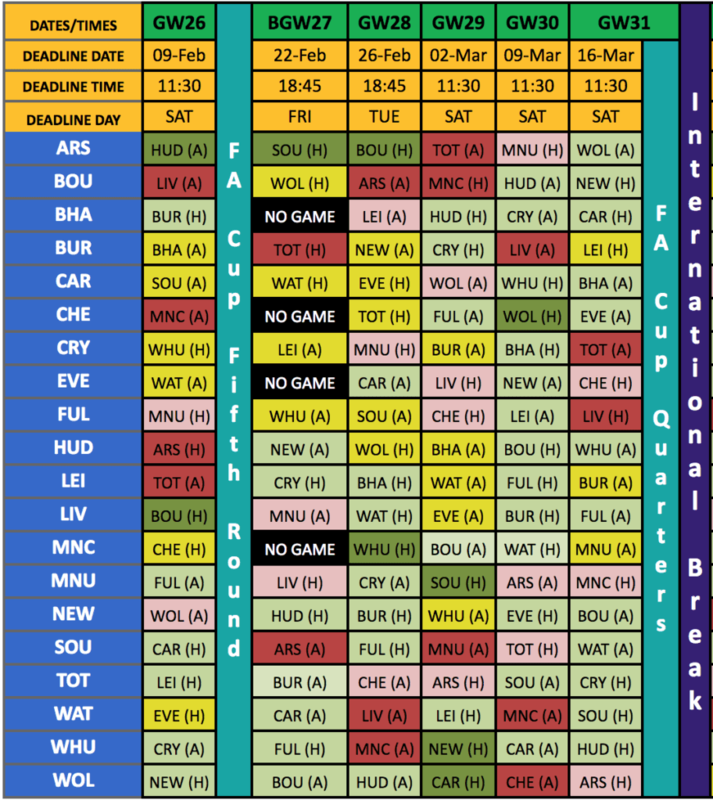 Putting aside blanks, chip strategy etc., can anyone see any <8m mids with decent form/fixtures/gametime. Just trying to build a watchlist for a potential Richarlison replacement. So far I have Anderson (form isn't great but good fixtures other than City GW after next), McNeil (cheap, decent form, fixtures a mixed bag), Maddison/Barnes (good fixtures but form & gametime a bit sketchy). In summary – it doesn't look like there is much out there? Aguero 91 points total – TC in gw25 and captain in gw26. Sane/Salah 18 points total – 2 points for Sane in gw25! and 16 for Salah in gw26. If anything it has made me more determined to try and catch up (rather than giving) At first I was going to gamble with transfers / captain picks for the rest of the season but thinking it may be better to play safe until after the doubles, try and gain as much as I can (if anything) and then gamble with players/ captain picks for the last 2/3 gameweeks once I’ve used my chips up? Which brings me to another 50/50! Option 2 – Play it safe and hope my chips dent their leads? The right decisions will dent their leads, captain who you think is going to get the most points and take calculated gambles. The DGWs and BGWs could swing things big time as you would know. With a lot more options in the other two doubles you can gamble a little there and if you get it right the gap can be made up. In the mini double I saw scores in the 30s and 40s vs scores close or over 100. How you use the Free Hit and the TC could easily swing 50-60 points if not more in your favour if you get them right as for the rest of the points, you know 30-40 points can easily be made up by grabbing the right differential or two ahead of most. My ML leader has an even larger lead for the same reason Kun TC/C when I went for Sane. But I was in a similar position last year. I clawed it back and could have won with a CS from BHA (or was it HUD or SWA) in either of the last two weeks but it didn’t happen. Mornin all. Haven’t been on much lately, been a nightmare of a season. I have a question I’m honestly curious about. Hope it sparks some responses. I would guess a vast majority of FPL players have had a season where they lose interest a bit, oftentimes due to having a poor season. This might especially be the case early on in in their “FPL-careers”. I also think i t is perfectly natural to lose interest a bit. If you´ve set yourself a target, and realize you´re falling way short, it is difficult to find the motivation needed to keep going. If you find yourself way behind in your MLs, and your OR is shot, there really isn´t that much left to play for. Some players manage to reset, and lock in on a new target. This might be a bit easier for the “more accomplished” players, as their primary targets may be fixed to an OR. These players might still be competitive in their MLs despite having a disappointing OR, which should make it easier to shift your sights and stay motivated. But for those with seasons leaving them hopelessly adrift in their MLs, finding something to play for may be hard. My “tips” for staying motivated is mostly tied to viewing the remainder of the season as a “free training pass”. Most FPL players have adopted a certain style of play. Some players are more cautious and calculated, where hits are avoided and transfers kept to a planned minimum. For these players, there may be motivation and entertainment in adopting a more audacious style of play. Perhaps taking a few risks, and playing a style that is outside your comfort zone can lead to the player picking up some knowledge, inspiration or tips that can come to use in later seasons? If nothing else, you provide your self with a new and unknown challenge as a FPL player. The same can be the case for the more gambling “wildcard” kind of players. Perhaps those players can find some meaning in playing a more conservative style. This could be done by applying restrictions to your self that you normally wouldn´t adhere to. For instance, you could limit your self to a certain number of transfers for the remainder of the season. 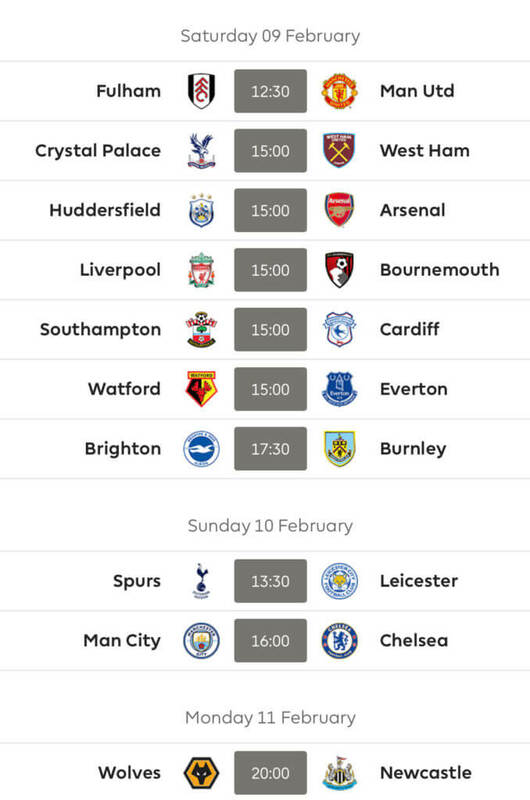 It might sound like a suggestions destined to make your FPL experience more boring, but i see it as a way to challenge your self to approach something you normally enjoy in a new and (at least in some players eyes) more challenging way. Of course, it would be a prerequisite for both approaches that you keep a tab of whether your season improves or not, and whether the “new” approach and style of play contributed to the improvement. As mentioned before, you may find motivation in seeing your season improve after making a drastic change. Perhaps the change should be accompanied by a certain set goal as well. And, as mentioned above, i really believe that trying a new approach can improve you as an FPL player, and it might result in you adapting your style in later seasons. I´ll also mentioned that doing this can leave you better prepared for the variations and differences you can find within each FPL seasons, and between the different FPL seasons. No seasons are the same, and it feels like each season warrants a different approach. The 2018/19 season, for instance, started with a focus on premium defenders and a somewhat “safe” template. In the last few months we´ve seen a shift towards a more expensive midfield, and a notable shift in form for a select few players in mid december, leading to a break up of the template and a situation that rewarded thos who pounced on a few players (Man United, Son, Salah, no City etc). The period following that has continued to reward those willing to take a few risks, (ie Aguero, Sterling, Ederson). The last 5-10 GWs have mostly been either punishing or rewarding, and i think players with an ability to adapt their style quickly have been the winners. For may, the season is over, thanks to the last 10 days (and perhaps the christmas period). Perhaps trying a more adaptive style of play could be an experiment worth trying out for the remainder of the season? That’s great advice mate. Gives a whole new perspective to the game. Thank you. That is very nice to hear! Sound advice there from the bloke who is top of the FF247 Regulars league as we speak. Yes Rosco, he has assured me he will be more active on site. Mind you, i would if i was top of the league. Is this league only open at the start of the season? If so, what was the buy in? Would be interested for next year! If his posts are like this he’ll be a very welcome addition especially given his obvious ability! 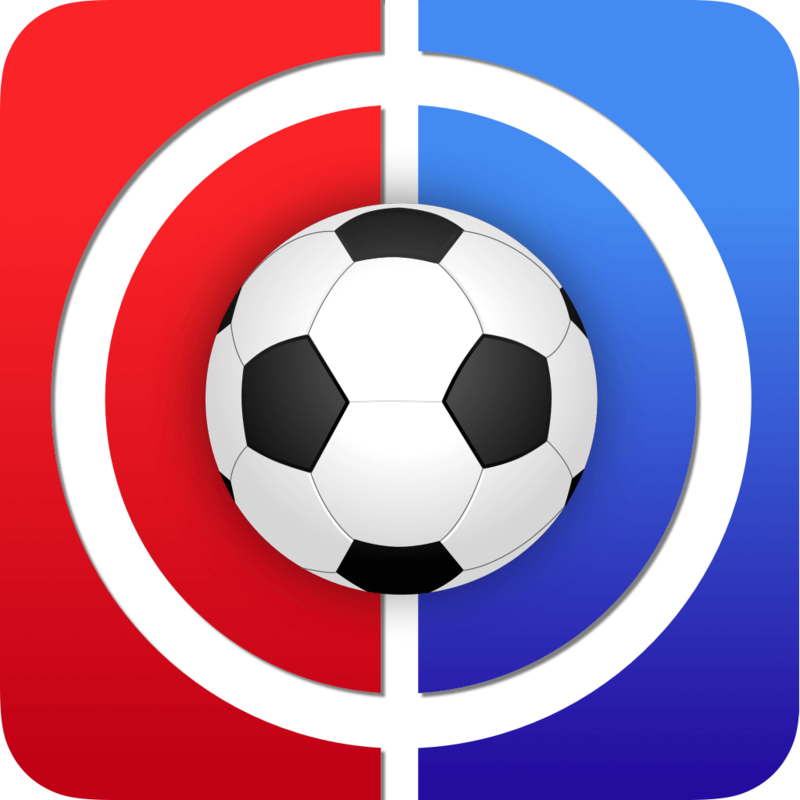 elcfc, there is the regulars league and the regulars H2H leagues. Give me £100 and your in, not really. I post in the summer for all your details and thats it, your in. All we ask is that people post on site now and again, you pass this no problem. This post surely deserves to be in the “Hot Topics” section !! Bravo, great post. Like you say at some point you have to stop looking at the forest and focus on the tree in front of you. i like to challenge myself with mini games of my own making at this point in the season to keep my interest up. Thank you, i appreciate the kind words. And i would love to hear more about the mini games, if you wouldn’t mind expanding on that? That’s a great post, a really good one to share and I agree with a lot of what you say. However I do think there are a lot of points still out there and managers shouldn’t be too disheartened, even if they’re miles behind in their ML. I would encourage managers to plan for the forthcoming doubles and blanks well. Gaps can be closed. We’ve seen that managers are buying Aguero in their droves, which I would argue makes getting Auba for 27 a highly acceptable gamble. This time of year can be wearing, because it needs a lot of concentration, and managers need to avoid making silly mistakes (selling someone they’ve bought for 7.8 then realising he now costs whatever Pogba now costs, etc). Thanks for such a good response. But yeah, i definitely agree with you on that. There’s still almost 1/3 of a season to play, and with DGWs, BGWs, and perhaps a few chips left to play with, the potential for large gains is absolutely still there. This season have shown a tendency to shift quite suddenly, so a bit of planning in combination with a few gambles and a dash of luck might result in an epic end of season. And another thing that may warrant a mention is the ability to step back and realize that FPL Twitter/Reddit/Other sites constitute a small percentage of the overall FPL player pool. A lot of the info consumed derives from a very limited pool of players, which in turn can lead to a feeling of “everyone has the same players, same plan etc.It’ll be impossible to gain ground or catch up”. There is actually a much larger variety than we sometimes realize or contemplate. (yes, within the top 100, 1000 or maybe even 10.000, the variety is destined to be a bit less, but the margins needed to makes gains is also a smaller) I think we sometimes blind ourselves on the value of just going for the players you consider the best options, simply because your FPL sources has a piece on them, or has them in their teams. That doesn’t necessarily mean that everyone within the top 50k has them. For me, a stat from Wolves-Newcastle illustrated this. If i remember corrrectly, 48ish percent of the players inside the top 10k were starting the combo of Doherty and Jimenez. That might seem like a lot, but it actually means that those two players doing well would let you catch up to over half of the players within the top 10k. I consider those two players to be fairly “set” template” players, so to me it illustrates how possible it is to make gains even with template players. As a side note, looking at potential “gambles” is one of the things i most look forward to in the coming weeks. Auba is a good shout in that respect, given Agueros recent success. Excellent points. I’d not thought about ownership like that but yes, the evidence of what you say is all around us in our mini-leagues. I can spend a week on here gassing about this or that player then see my rivals have none of the hot prospects we’re all getting mildly fixated with. The background hum of Twitter /podcasts / celebrity managers and so on is a massive distraction. I’ve made a big effort this year to tune a lot of that stuff out. Not because they don’t have good things to say: they often do, and sometimes very amusingly. But it does distract and can take your eye off the ball. A good example of that was the Kun captaincy earlier in the season v Huddersfield. To Auba or not to Auba, or rather to remove Kun or not. I’d like to think I’d have the nerve to keep Auba for 28 but I daresay I’ll bottle it and swap him straight back. But who knows. A few fences to be jumped before then. FPL is definitely a hard learning curve. Last season I started great but being a novice I refused any hits or early chips. Then I killed my team over preparing for the BGW’s. This year I’ve experimented doing the opposite, taking a lot of early hits to gain TV but now I’ve fallen too far behind. “Always next year ! !” I’ve been saying that for over a decade! Many seasons I’ve stopped playing part of the way through, mainly due to other things in life taking priority as being more worthwhile. But the weirdest season for me was 2014-15 when, after a mediocre start, I had a storming run from GW7 to GW32 when it seemed I could never put a foot wrong. I really thought I’d cracked how to win. I was in the top 500, had great team value, and was contributing bigheaded articles to FF247 (or was it still FFC then?) telling everyone the secrets of my success. And then, guess what? Couldn’t get a decision right from GW33 onwards! I was still playing the same way, didn’t lose the plot, but nothing would work out in those last 6 GWs. I finished on 8k. Still a proud achievement, but hey. Very bittersweet. 8k is a great OR but I can imagine how gutted you must have been to slip out of the top 1000. I would have done better in 14/15 but for taking the captaincy off Suarez for the Spurs away game. Cost me a lot of places, that decision (if that was the Suarez season). I got to about 1,700 last year but fell back to 6k at the end – just ran out of inspiration, played it safe and paid the price. Top 10k is my target each year. Have managed it twice. Have never got into the top 1000, which I’d like to do at least once. I should know that, really. I had him as captain the moment he came back after some chomping suspension – or was that the racism ban? – no, that was earlier – hmm, anyway, those lost points at WHL haunted that season for me. TPOM – thanks for such a thoughtful response. Makes perfect sense and could actually work two-fold to have a reset and change of style. For me personally, I feel like I’ve dabbled in both styles already this season and neither has worked very well! I’ve never had a season where I feel like I’m chasing points more and can’t remember one good decision I’ve made where I’ve struck on a player just before a big haul. Sane captain 2 weeks back while my ML leaders capped Aguero was certainly the nail in the coffin! Cheers again, best of luck to ya the rest of the way! PS – certainly doesn’t help being a Fulham fan at the same time this year! Ah i know the feeling all too well. It feels like you just can’t catch a break, and every single transfer seems to go wrong. The upside is that you’re bound to find a good rhytm again eventually. FPL can be fascinating in how it can make it feel like your decisions almost doesn’t matter. When you’re in the zone it feels like every single thing goes your way. And when it’s going against you it feels like you could have started the season long dream team each week and still lose ground. Fulham has been frustrating this year. I hope you turn it around. You guys have some fun players in Sess, Schurrle, Seri etc. And Mitro is a legit beast as long as he gets enough service.